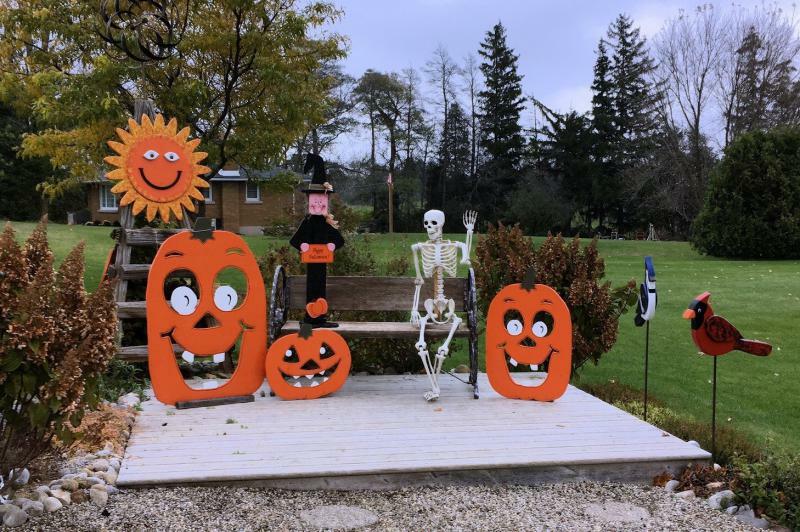 Thank you to Robin and Larry Wayne for this fabulous Halloween display! We couldn’t resist sharing it with you and hope it brings a smile to many faces today as they get ready to go trick or treating. Check out the new display at the Wayne’s house this week as they transition for Christmas at 7405 Wellington County Road 34, Aberfoyle – right across from the Puslinch Township office. If you are interested in adding to your outdoor holiday décor you can contact Robin or Larry at 519-821-1026 or by email at [email protected] to place an order.